Notes: • "Hyperpilosity" is listed in some publications as "Hyperpelosity". • "Alas, All Thinking!" is listed as such on the table of contents and header pages of the story but "Alas, All Thinking" on the title page of the story. • Cover art of Fantastic, November 1965 is used, where Julian S. Krupa is credited. 116 • The Battery of Hate • (1933) • novelette by John W. Campbell, Jr.
174 • The Lost Language • (1934) • short story by David H. Keller, M.D. 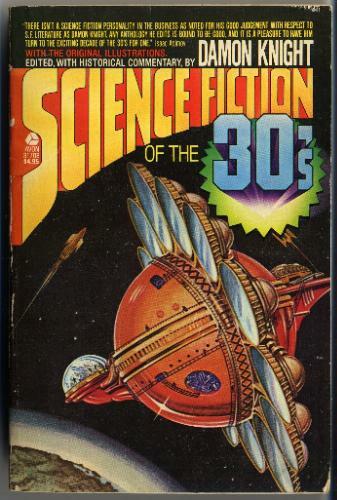 308 • The Time Decelerator • (1936) • short story by A. Macfadyen, Jr.